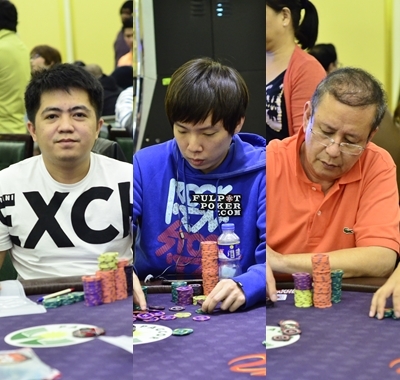 The APT Asian Poker Series Manila 2015 Main Event got off to a roaring start Friday with 107 runners joining Day 1A of the highlight tournament of the nine-day poker festivities at the Resorts World Manila in Pasay City, Philippines. 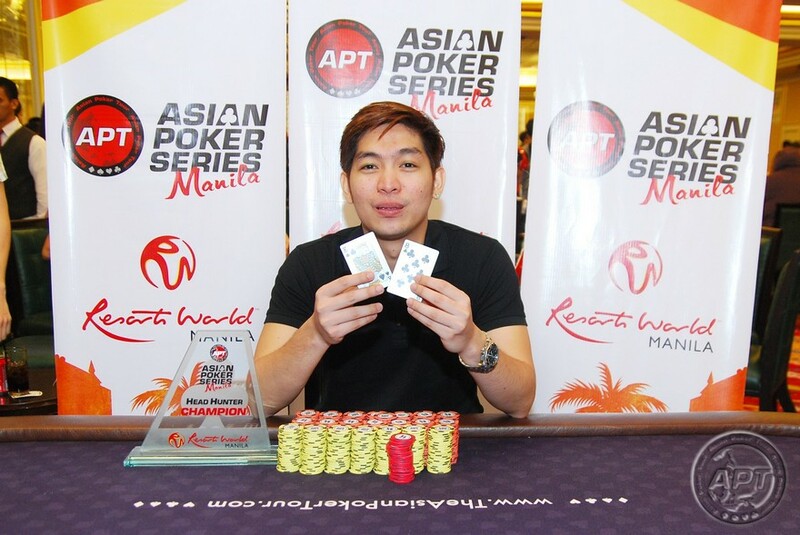 When the smoke cleared from the battle on the felt, it was a local bet from the Philippines, Noel Araniel who came out on top of the heap, thanks to a good run of not only good cards, but premium hands of pocket aces and pocket kings. Araniel and some of his tablemates confirmed after Day 1A that the Filipino has indeed woke up with the Rockets—six times, and the Cowboys—three times, during the eight levels of play in Day 1A. Araniel made sure he put those premium hands to good use to build up his stack in becoming Day 1A’s chip leader. Very late in the day— actually, within the last three hands of Day 1A—Araniel flopped the boat holding 10♦ 10♠ on a board of 10♣ 6♥ 6♦ 8♣ J♠ that got him over the century mark. Araniel tows the 52 survivors entering Day 2, which is set on Monday. Two more starting days are on schedule, Day 1B on Saturday and Day 1C on Sunday, both with start times of 1:00 PM. Araniel wasn’t alone in stacking up those chips, albeit they did not have the six-aces-and-three-kings streak; SJ Kim (South Korea) slowly but surely climbed near the century mark and finished with 95,500; Jun Javalera (Philippines) was consistent throughout the day, actually lost a few nice pots in the final minutes, but still managed to end up at third with 90,000. Ruth Graham (USA) had 81,225; Nicholas Gorman (USA) had 76,000; and Kai Paulsen (Norway) had 73,350 to complete the top five for Day 1A. For complete Day 1A Chip Counts, go to APT’s Live Updates page. Meanwhile, in one of the side events on Thursday, John Tech of the Philippines bagged the Head Hunter title after defeating You Hui in the heads up round. Main Event action continues Saturday along with the No Limit Hold’em 1 side event with PHP 13,200 buy-in at 3:00 PM. Also available is the Last Chance Main Event Mega Satellite at 7:00 PM. Check Event Schedule page for complete details.